Antony Williams is the Vice President, Strategic Development at the Royal Society of Chemistry and leads their eScience efforts. He was one of the founders for ChemSpider, one of the world's primary internet resources for chemists now hosted by RSC and providing access to over 28 million unique chemicals linked out to over 400 data sources on the internet. He was the Chief Science Officer for Advanced Chemistry Development (ACD/Labs) focusing his cheminformatics skills on structure representation, nomenclature and analytical data handling. He is an NMR spectroscopist by training with a PhD from the University of London and is an accomplished author with over 140 publications, and many book chapters or books. He is known as the ChemConnector in the chemistry social network and is passionate about providing tools for data sharing, collaboration and alternative metrics for recognizing the contributions of scientists. Science has evolved from the isolated individual tinkering in the lab, through the era of the "gentleman scientist" with his or her assistant(s), to group-based then expansive collaboration and now to an opportunity to collaborate with the world. With the advent of the internet the opportunity for crowd-sourced contribution and large-scale collaboration has exploded and, as a result, scientific discovery has been further enabled. The contributions of enormous open data sets, liberal licensing policies and innovative technologies for mining and linking these data has given rise to platforms that are beginning to deliver on the promise of semantic technologies and nanopublications, facilitated by the unprecedented computational resources available today, especially the increasing capabilities of handheld devices. The speaker will provide an overview of his experiences in developing a crowdsourced platform for chemists allowing for data deposition, annotation and validation. The challenges of mapping chemical and pharmacological data, especially in regards to data quality, will be discussed. The promise of distributed participation in data analysis is already in place. 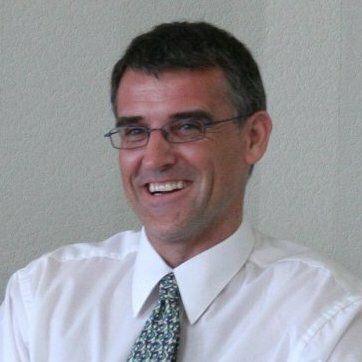 Dr Ross King moved to the School of Computer Science, University of Manchester, in February 2012. Before that, he was at the University of Wales, Aberystwyth, for fifteen years. His first degree was in Microbiology, but he also has a M.Sc. and Ph.D. in Computer Science. The research achievement he is most proud of is developing Robot Scientists, a physical implementation of the task of Scientific Discovery in a microbiology laboratory, representing the merging of increasingly automated and remotely controllable laboratory equipment and knowledge discovery techniques from Artificial Intelligence. The use of computers is changing the way that science is described and reported. Scientific knowledge is best expressed in formal logical languages with associated probabilities. Only formal languages provide sufficient semantic clarity to ensure reproducibility and the free exchange of scientific knowledge. Despite the advantages of logic, most scientific knowledge is expressed only in natural languages. This is now changing through developments such as the Semantic Web and ontologies. A Robot Scientist is a physically implemented robotic system that applies techniques from artificial intelligence to execute cycles of automated scientific experimentation. A Robot Scientist can automatically execute cycles of hypothesis formation, selection of efficient experiments to discriminate between hypotheses, execution of experiments using laboratory automation equipment, and analysis of results. We have developed the Robot Scientists Adam (functional genomics), and Eve (drug design). Robot Scientists provide excellent test-beds for the development of methodologies for formalising science. Using them it is possible to completely capture and digitally curate all aspects of the scientific process. We attempted to record and formalise Adam.s experiments. For the core organization of this we used the ontology of scientific experiments EXPO. This ontology formalizes generic knowledge about experiments. We then developed LABORS, a customized version of EXPO. Application of LABORS produces experimental descriptions in the logic-programming language Datalog. In the course of its investigations, Adam observed 6,657,024 optical density (OD595nm) measurements (forming 26,495 growth curves). These data are held in a MySQL relational database. Use of LABORS resulted in a formalization of the scientific argumentation involving over 10,000 different research units (segments of experimental research). This has a nested treelike structure, 10 levels deep, that logically connects the experimental observations to the experimental metadata. This structure resembles the trace of a computer program and takes up 366 Mbytes. Making such experimental structures explicit renders scientific research more comprehensible, reproducible, and reusable. My vision of the future is a collaboration between human and Robot Scientists will produce better science than either can alone, and the scientific knowledge produced will be primarily expressed in logic with associated probabilities and published using the Semantic Web. Barend Mons is Professor of Biosemantics at the LUMC and is one of the scientific directors of NBIC, the Netherlands Bioinformatics Center. In addition he acts as a Life Sciences 'eScience integrator' in the Netherlands eScience centre. Currently, he coordinates the creation of the Data Integration and Stewardship Centre (DISC-ELIXIR) and in that capacity he is also the head of Node of the developing Dutch node in the ELIXIR ESFRI project. Barend Mons is a molecular biologist by training and received his PhD on genetic differentiation of malaria parasites from Leiden University (1986). He performed over a decade of research on malaria genetics and vaccine development, also serving for 3 years the research department of the European Commission in this field. He did gain further experience in science management at the Research council of The Netherlands (NWO). Barend is the co founder of three spin-off companies in biotechnological and semantic technologies and is an advisor for several companies as well. From the year 2000 onward he increasingly focuses on the development of semantic technologies to manage big data and he founded the Biosemantics groups, first at Erasmus University in Rotterdam and later also in Leiden. Both groups collaborate very closely. His research is currently focused on nanopublications as a substrate for in silico knowledge discovery. 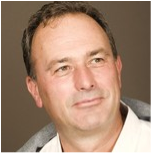 Barend is also one of the founders of the Concept Web Alliance, with "nanopublications" as its first brainchild. Nanopublications are currently implemented in the semantic project of the Innovative Medicines Initiative (IMI) called Open PHACTS. In this talk, he will revisit the 'need to engage a million minds in expert crowd sourcing' based on his highly cited 2008 paper "Mons et al. Calling on a million minds for community annotation in WikiProteins, Genome Biology 2008, 9:R89 ". Now that mobile technology is so much further in development and social acceptance, and the first real scientific applications are coming on the market, there is a need to revisit how best to engage people in expert crowdsourcing.